A Presbyterian church was happy to have Jeremy and Jodi Stokes as Cub Scout leaders, at least until officials there found out they are Mormons and told them they would have to step down because the church does not consider them real Christians. The Stokeses enrolled their sons as Scouts at Christ Covenant Church, a Presbyterian congregation about 10 miles from Charlotte, N.C., then expressed interest in volunteering as leaders. Church officials were initially thrilled earlier this month, the Stokeses said, until they saw on the couple's application forms that they belong to the Church of Jesus Christ of Latter-day Saints. 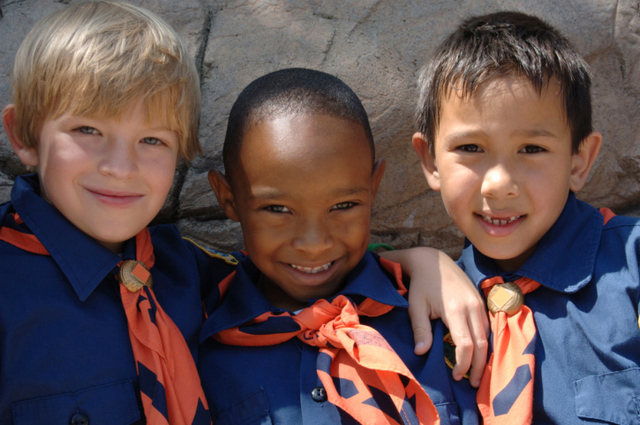 After two Scout meetings, the Stokeses were told their sons, 6 and 8 years old, could remain in their packs, but the parents couldn't serve as leaders. "I can't believe they had the audacity to say, 'You can't be leaders but we want your boys,"' Jodi Stokes said. "Are you kidding me? Do you really think I'd let my boys go there now?"